What will the summer tokens mural reveal? 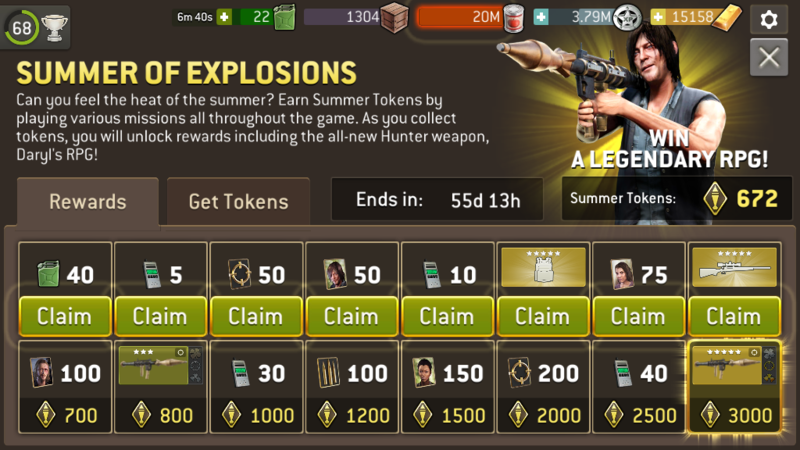 Not one to wait to get the prizes, so the pics behind the summer token rewards have me intrigued. What will they reveal. I have a few guesses, and here we go. ... Andrea tasted skanky, so the walkers are grilling her up to make her more palatable. Edited to correct spelling. Palliative? Holy shite. Maybe the walkers are grilling up parts of Stu as the appetizer, that's why nobody can find him. Of course skanky Andrea is the main course. I don’t know @mack22. I believe that may be Stu on the far right. Never would have thought he liked skank meat. My Guess: The mural is @Teeceezy catching a monster wave on a surfboard while shooting an RPG at those pesky seagulls who are stealing his Doritos. I guess it´s a scene with walkers and survivors.